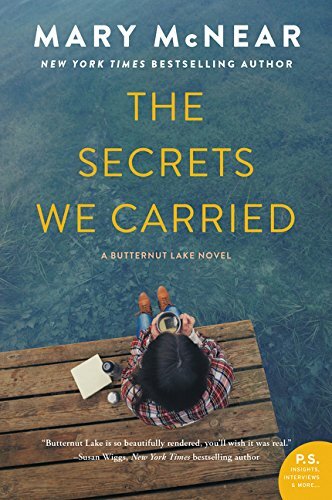 The Secrets We Carried, the sixth novel in the Butternut Lake series, will be available September 25, 2018!! Mary McNear's Butternut Lake trilogy includes Up at Butternut Lake, Butternut Summer, and Moonlight on Butternut Lake. She has also written a novella (that falls between Butternut Summer and Moonlight on Butternut Lake) titled Butternut Lake: The Night Before Christmas. Her fourth and fifth books in the Butternut Lake series, The Space Between Sisters and The Light in Summer, are now available. Her sixth book in the Butternut Lake series, The Secrets We Carried, will be available on amazon, Barnes & Noble, and at indie bookstores on September 25, 2018! This is the sixth novel in the Butternut Lake series. It will be released September 25, 2018.